The public discourse in Azerbaijan during January was largely dominated by new tensions in its conflict with Armenia. Along with the continuation of the currency crisis this meant a tough beginning of the year in the country. 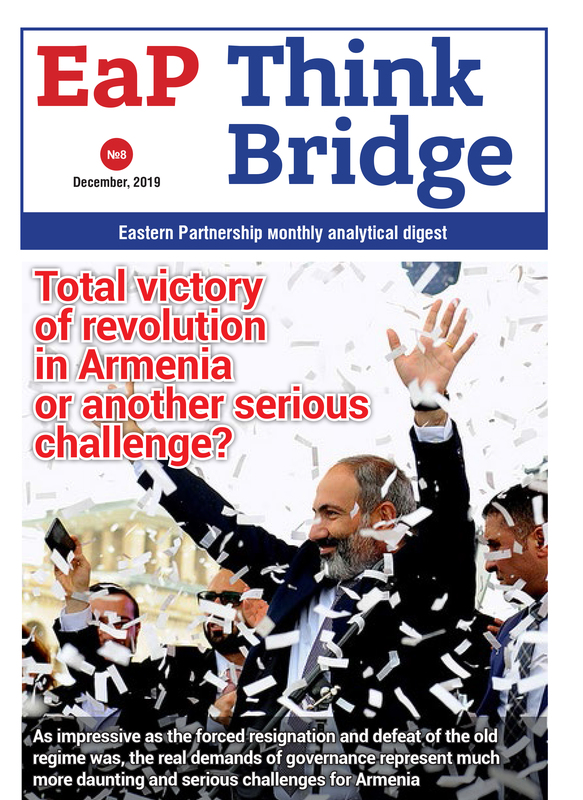 Following the armed clash at the contact line that lasted from 29 December 2016 till 01 January 2017, the conflict over Nagorno-Karabakh dominated the public agenda again. At least four soldiers died during the military escalation. The body of Chingiz Gurbanov, one of the soldiers, was not returned to Azerbaijan despite the appeals of the Defense Ministry to the Baku office of the International Committee of the Red Cross (ICRC), the OSCE Minsk Group, and the Personal Representative of the OSCE Chairperson-in-Office Andrzej Kasprzyk. The refusal to return the body caused public outrage in Azerbaijan and shaped the discourse within the country during the whole month. As a continuation of the conflict, Azerbaijan voted against the extension of the OSCE Yerevan Office mandate, stating that the transparency of the Office should be ensured . Azerbaijan is also trying to negotiate with Belarus on the extradition of the arrested Russian-Ukrainian-Israeli blogger Alexander Lapshin, who visited Nagorno-Karabakh without Baku’s official consent. At the same time, January brought a slight improvement to the issue of NGO status in the country. The Cabinet of Ministers reached a decision to amend the registration rules of grant agreements. The changes have softened the current NGO legislation. However, the local NGO community points out existing obstacles and calls for their further elimination. Following the economic crackdown, Azerbaijan tries to reform and liberalize its economy. Hence Strategic Road-maps on National economy have been introduced. The measures include creating new entities for regulating agencies, revisiting customs rules, changing the status of numerous governmental agencies, introducing a floating exchange rate regime, etc. These strategic maps cover 11 main sectors of the economy. Alongside the strategic economic road-maps, a working group was established to ensure the implementation of development plans in these sectors. Meanwhile, the economic challenges Azerbaijan has been facing after the sharp drop of oil prices continue to arise. Despite the extensive efforts of the authorities, they have not been successful up to now and moreover proved inefficient to keep the rates of national currency, manat, from falling. By the end of January, the USD – AZN exchange rate went down to 1.97. The shortage of the US Dollars on the market caused panic among businessmen importing products from abroad. This in its turn created a huge demand for the black market. To minimize the consequences by the end of the month, the government announced a fully free-floating exchange rate . A few important international visits took place during January and indicated the direction of further development of Azerbaijani foreign relations. In late January a delegation led by the President of the American Jewish Committee (AJC) John Shapiro visited Azerbaijan and had a meeting with the President. Among many issues, the representatives of the delegation expressed hope that “the new US administration will be a new chapter in relations with Azerbaijan”. Because of its negative human rights records, Baku did not have productive relations with Washington in the recent years. The victory of the Republican Party nominee, Donald Trump, in the United States presidential elections caused Azerbaijan to increase its efforts in establishing stronger links with the USA. Azerbaijan has pragmatic relations with Israel and the Jewish Diaspora in America, and intends to use these connections to positively influence the Azerbaijan – US relations. The efforts to relaunch negotiations on the cooperation agreement with the European Union continued during the visit of EU high-level representatives, namely Christian Danielsson, Director General for Neighbourhood Policy and Enlargement Negotiations in the European Commission, and Thomas Mayr-Harting, Managing Director for Eastern Europe and Central Asia in the European External Action Service. During their visit European officials met with President Ilham Aliyev to discuss the EU – Azerbaijan relations. The 44th meeting of the Ad Hoc Working Group for Elaboration of the Caspian Sea Legal Status Convention was hosted in Baku on the level of deputy foreign ministers . The controversial issue of the legal status has been on the table for a long time, halting Caspian Basin fossil-fuel resources to be exported to the EU market via a passing underneath the Sea. Russia and Iran were less interested in the successful implementation of the plan, and hence the legal status of the Caspian Sea was left undetermined up to now. With the recent changes, there is a growing hope for the future of the project.